InterActiveHealth Recent Blogs Skin condition with Red Patches. 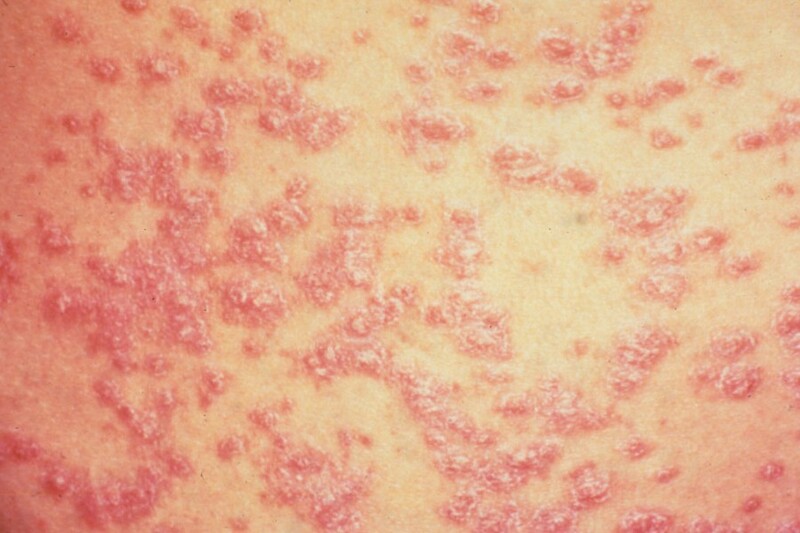 Here’s a medical condition with red patches that effects the skin. 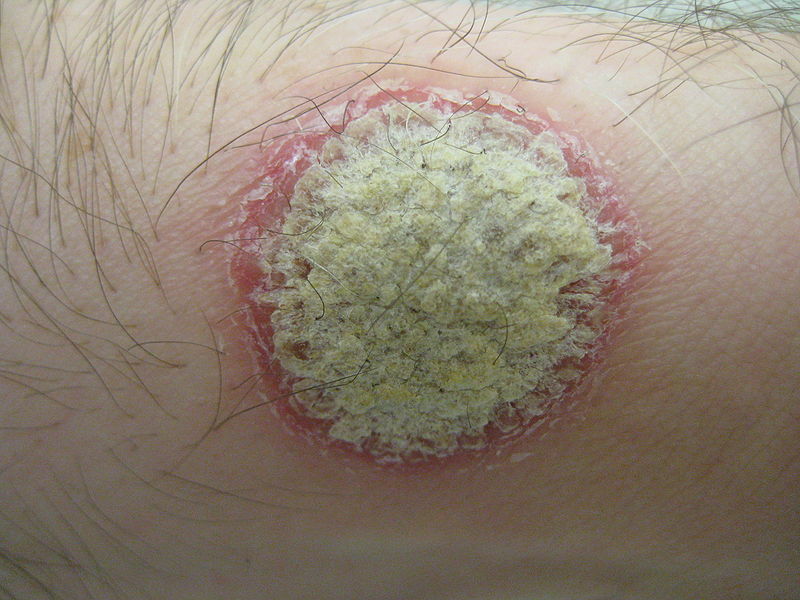 Typically this condition affects the layers of skin and a raised red patch can be seen. In this condition, the Immune System sends out faulty signals that cause the thickening of the skin. The actual cause of this thickening of the skin, Inflammation, is not known. The big question is if this condition is contagious or not??? What do you think it is? Add your thoughts to the comment section. ***We got a ton of responses from Facebook and Twitter. Thanks to everyone for their guesses. Drum roll……..Psoriasis is the Answer. Caused by an Immune System sending out faulty signals that speed the growth of the skin cells. Is classified as a chronic immune-medicated disease. This condition is different than eczema with affects that outer side of the a joint. Is chronic and reoccurring – which means that it can be difficult to treat. 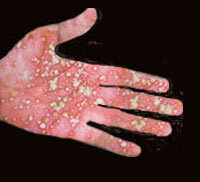 Is a skin condition that effects the first layer of the epidermis [skin]. Between 10-40% of those having Psoriasis also has psoriatic arthritis which affects the joints like Arthritis. There is likely to be a genetic component, though psoriasis is not completely understood. – Commonly seen as red and white regions of scaly patches. – Can also affect scalp, hands, fingers, legs, abdomen. 0 Responses to Skin condition with Red Patches.